Theodore Roosevelt once said, “The most important single ingredient in the formula of success is knowing how to get along with people.” These stoic words represent a palpable maxim for Stefano Guizzetti, Jack Scivoletto and Albert Gasparro. The result couldn’t be grander. 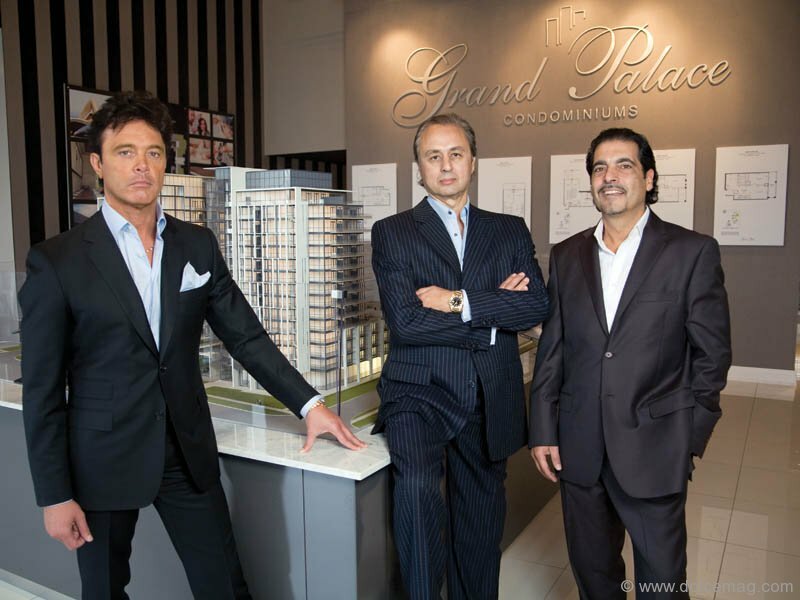 Aligned under the Guizzetti Corporation banner, this trio has embarked on a landmark endeavour to bring Richmond Hill its most prominent condo residence yet: Grand Palace Condominiums. 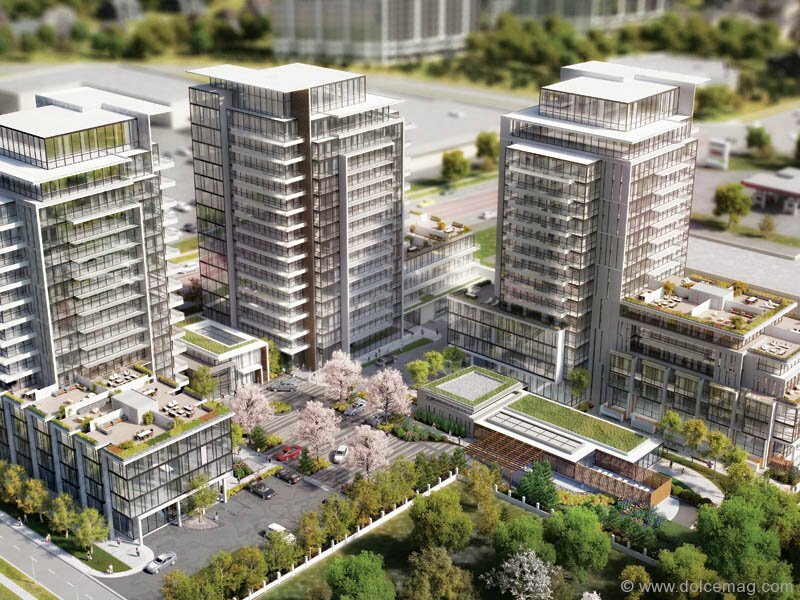 “What we’re trying to do here in Richmond Hill is update the city’s esthetic; to bring it up to the class it deserves,” says Scivoletto, vice-president of Guizzetti Corporation. 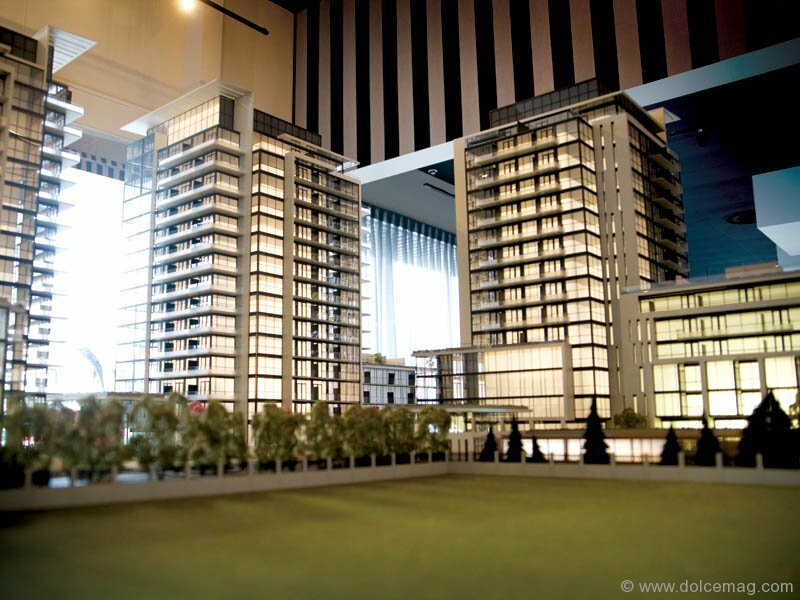 Three stunning 15-storey glass condo buildings will stand on a foundation of various commercial and retail spaces, all accented by luxurious amenities that cater to every aspect of life in the city. With spacious nine-foot ceilings as a standard, each of the 524 units are drenched in natural light thanks to their frames of chic glass walls. Contemporary elegance fashions these open-concept suites, each adorned with sleek fixtures and energy-efficient appliances, including Fisher & Paykel refrigerators and Whirlpool stainless-steel dishwashers, ovens, microwaves and full-sized stacked washers and dryers. Granite countertops are also standard features, as are the premium porcelain tiles that line the bathroom and kitchen floors. While all these features paint a pristine vision of modern living, the icing on the cake is individual in-suite climate control. Many condo developments keep heating and air-conditioning in the hands of the building — residents must wait for the condo corporation to turn it on. Scivoletto, who’s worked in construction and development for over 30 years, explains this addition frees residents from constraints of conventional condos. “You have the ability to control your home’s temperature, so you’re not paying for excessive utility costs,” he says. But the luxuries at Grand Palace don’t end in the suites. Party rooms, conference centres, guest suites, outdoor terraces and 24-hour concierge service enhance social life, while a winter garden brings nature’s warmth even on the coldest days. Amenity wise, the cherry is undoubtedly the Grand Spa. “We didn’t want to create that typical pool and gym,” adds Scivoletto, describing the fitness studio, yoga studio, sauna, pool, whirlpool and lounge the Grand Spa houses. 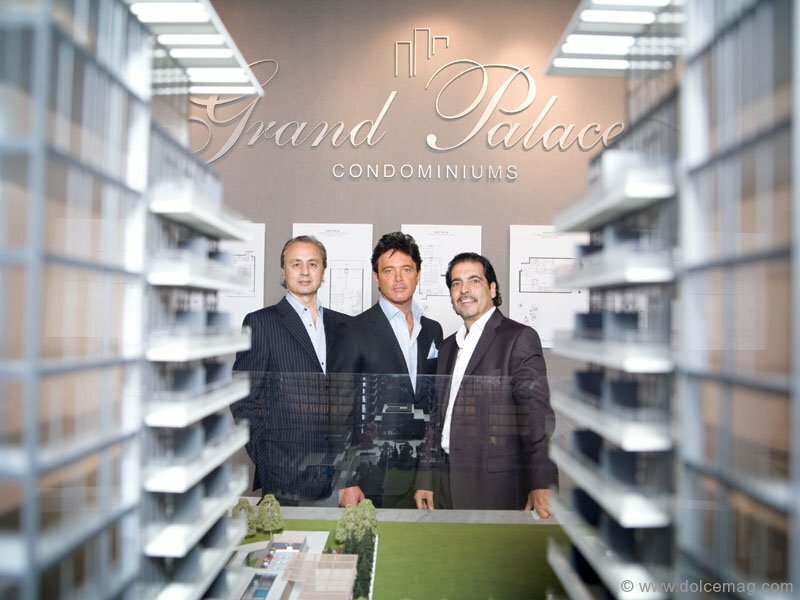 It’s an addition that takes Grand Palace to heights few developments reach. “We strive to be the best at what we do. Not mediocrity: the best,” says Guizzetti, president of Guizzetti Corporation. As a longtime resident, Richmond Hill was the obvious place to house Grand Palace. “I’ve lived here all my life,” he says. “It’s my home.” Guizzetti, whose father Giovanni played an integral role in shaping both Richmond Hill and the Yonge Street Corridor, feels age-old principles, like honesty and respect, should be the foundation of any project. “Actions speak louder than words,” says the 20-year land development veteran. We treat people the way we want to be treated. And that’s reflected in our project.” It’s an old-school attitude — influenced by his father’s penchants for integrity — from a time when your word was your bond. Some things just never go out of style. This dedication resonates within all three partners. Many customers ask to deal directly with team members because of the attention they’re given and the honesty with which it is delivered. A fact made clear when Scivoletto hustles away from a photo shoot to greet two entering clientele.